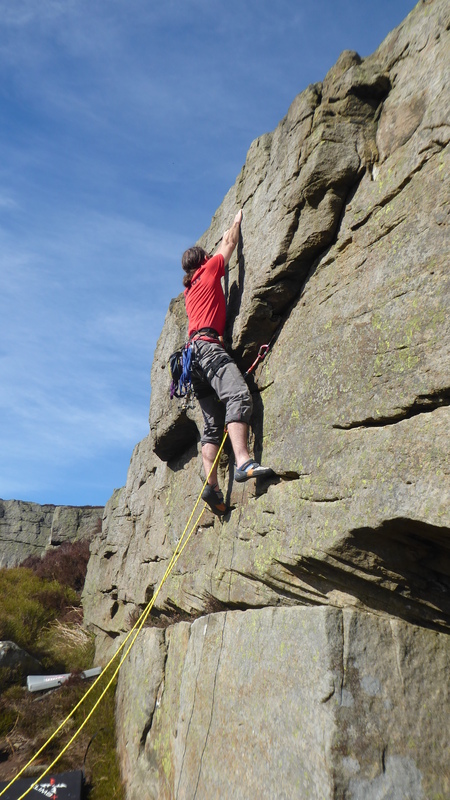 With a glorious forecast Karl, Mike, Jamie, me, Peri and Crofty went to Slipstones last Saturday. We were all overdressed (in varying degrees) for the Summer like weather and even complained it was too hot – in March! We were not alone the red goat had gone on mass as well. Lots of bouldering, some roped climbing & lots of sleeping by various members of the party. 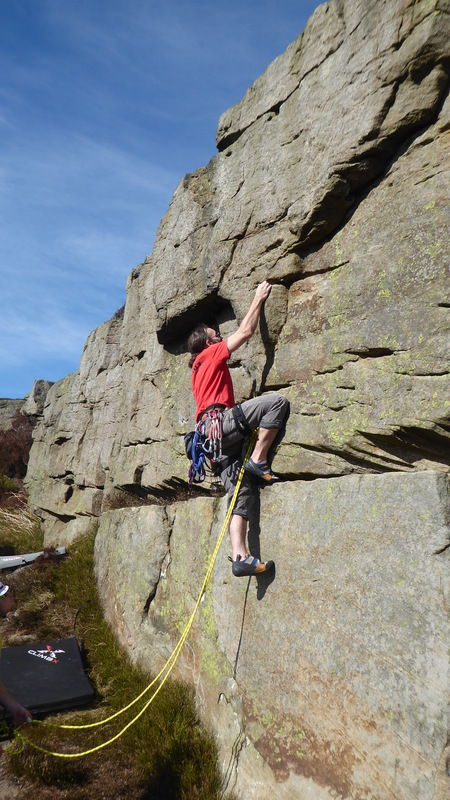 Mike chose a super pumpy HVS 5b for the first climb of the day – good effort. I backed off a VS & let Mike and Jamie take over. Great day to be out. Sunday it was an early start (groan) and off to the Peak District for the Edale skyline. Simon & I were running/walking independently. Having overtaken him on the first hill – he over took me whilst going along the first edge. I had almost caught up with him about 1/3 of the way around when I did a superman dive going through the forestry section – doh! Didn't see him again until the finish. Thanks to Gav & Justine for the support going up Mam Tor. Glorious weather for the race. Main mission accomplished – not timed out and not last to finish! The fall has resulted in a bicep injury which developed on Tuesday – hoping I may have enough movement to test my arm later next week. In the winter months of 2017, the club ran a monthly ‘adventure talks’ social evening at the Falcon tap pub in Micklegate, York. The idea being that we have a couple of short talks by members or visiting speakers about a trip they’ve been on, and get a chance to have a drink with friends, meet new members and find out more about what people have been up to, hopefully getting inspired for the coming year at the same time! We’ve had some great talks this year, starting in January when Dave told us about his trekking and mountaineering trip through Peru and Bolivia, and Peter described his adventures horse riding and trekking in Kyrgyzstan. February took us to New England with Carmen and Simon to see the fall colours and of course do some walking and climbing, and then over to Northern Sweden with Donal for a multi day hut-to-hut walk along the Kungsleden or ‘King’s trail’. Finally, in March we got on our bikes with Chris who competed in the transcontinental cycle race from Belgium to Istanbul (everyone was exhausted just listening! ), and then Rob gave an introduction to lightweight backpacking (with props!) along the Haute Route Pyrenees. Many thanks to all the speakers for giving their time to put a talk together and present it, and to all those members who came along to support, hopefully have some fun and learn about somewhere new. Looking forward to more adventure talks next year! 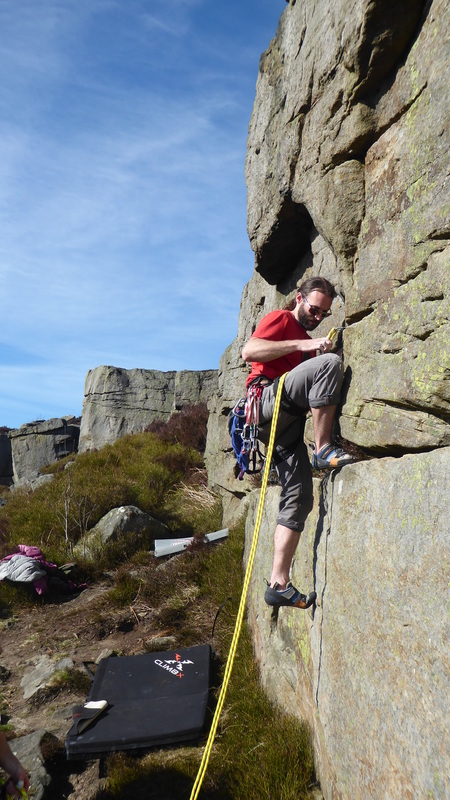 You are currently browsing the York Alpine Club Blog blog archives for March, 2017.